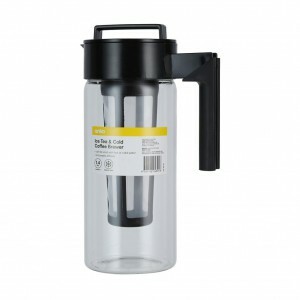 Kmart have issued a recall for the Ice Tea & Cold Coffee Brewer due to concerns the glass and handle can separate if using boiling water. If the glass and handle separate while in use, the user may suffer a scald or burn. Consumers should cease using this product immediately and return the product to any Kmart store for a full refund. Goodness! Dangerous! Thanks for the recall notice and warning! That’s a dangerous flaw! Hard to see how this didn’t show up in testing. Thanks for the info I’ll check with my husband to make sure he doesn’t have one. I hope no one was seriously burnt!